Find the most interesting and adventurous activities at Escape Room Strongsville. Our second escape room location in the Cleveland area, Escape Room Strongsville was opened in June of 2017. Our escape room team has been devoted to bringing the Cleveland area the newest and most creative escape rooms since opening our first escape room, Escape Room Cleveland in 2016. Now with 3 locations: Escape Room Cleveland, Escape Room Strongsville and Escape Room Mentor, we continue to bring you the freshest in escape games while continuously making changes to our games, up-dating and renovating each escape room. Located in the Strongsville Towne Center plaza, around the corner from the SouthPark Mall the Escape Room Strongsville is within minutes of fine dining at Don’s Pomeroy House, Michael Symon’s famous B Spot and local brewery Brew Garden for an easy date night or group activity and within walking distance of McDonald’s and across the street from Paninis Bar & Grill to simplify a family fun night or birthday party. 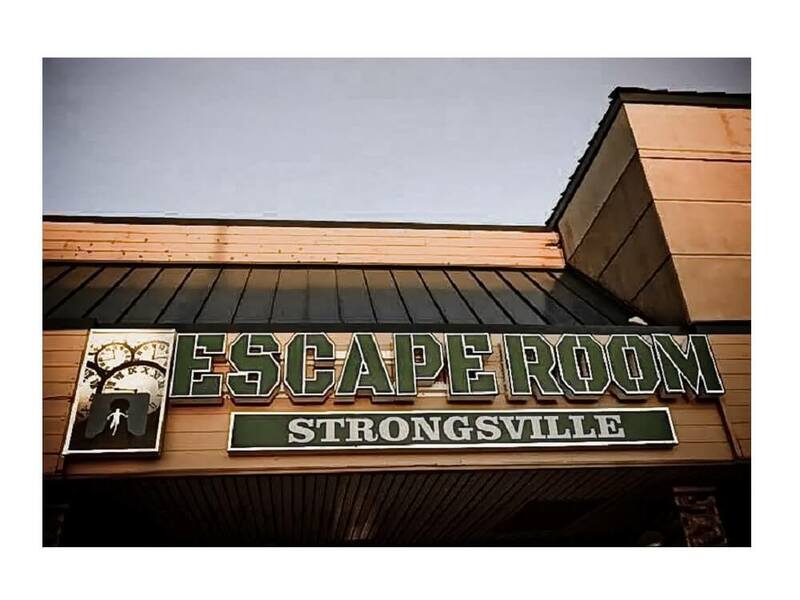 Scroll through our five escape games at our Strongsville Escape Room to decide which game works best for you and your friends, date or family. If you're looking for something fun and challenging to do in Cleveland, you've found the right place. We have fifteen total escape rooms in our three Cleveland Escape Room locations that are bound to satisfy your need for fun and excitement for months to come!